Having pets means putting up with messes they may make over the years they are alive, from puppies and kittens learning to potty, to older pets that can't control all of their functions. Being able to get rid of those messes and smells is a must. Just a few sprays a little bit of time, then blot, repeat if needed, and let dry naturally. That is all there is to nice fresh, carpet, furniture, car, or floors. This is made in the USA and has a 1 year money back guarantee. 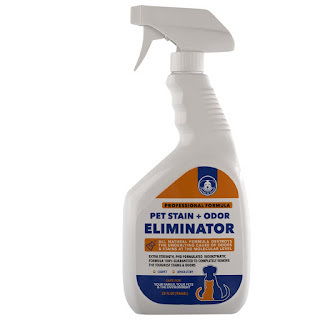 You can find this pet stain + odor eliminator on Amazon. What Barker & Pooch has to say about their product. -OUR UNIQUE, PROFESSIONAL GRADE BIO-ENZYME FORMULA will remove urine, vomit and feces stains and odors at the molecular level from your carpets, furniture, floors, upholstery, sleeping areas and more. -MADE IN A PROFESSIONAL FACILITY IN THE USA Barker & Pooch's Stain and Odor Eliminator is proudly made in the USA. -PHD FORMULATED SPRAY BREAKS DOWN THE CAUSE OF THE ODOR so even old or deep-set stains and odors will be removed at the molecular level. 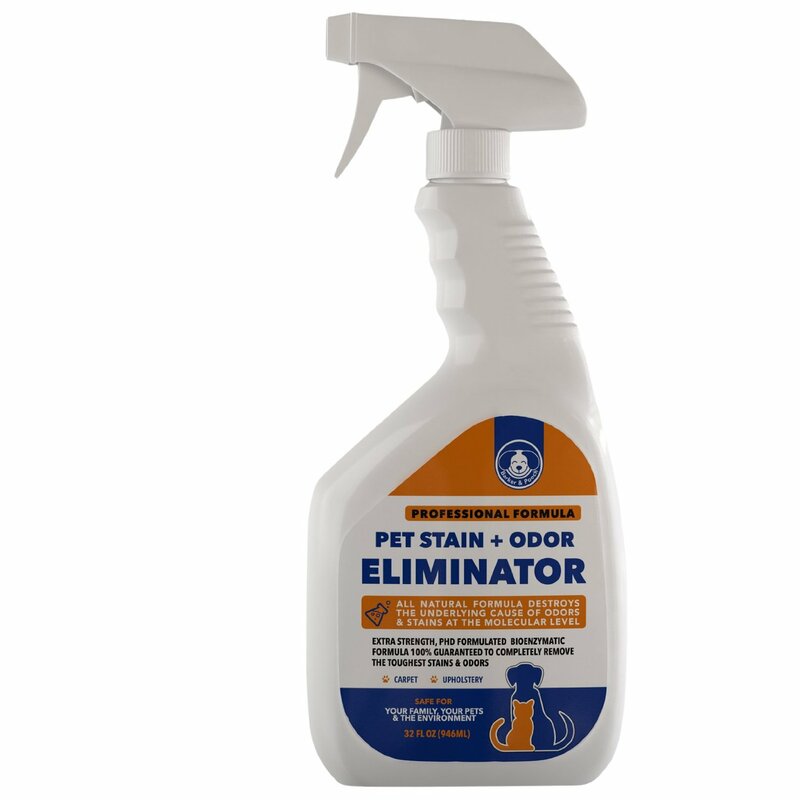 Works so effectively, your pet will not return to use the same site because of a smell still being present. 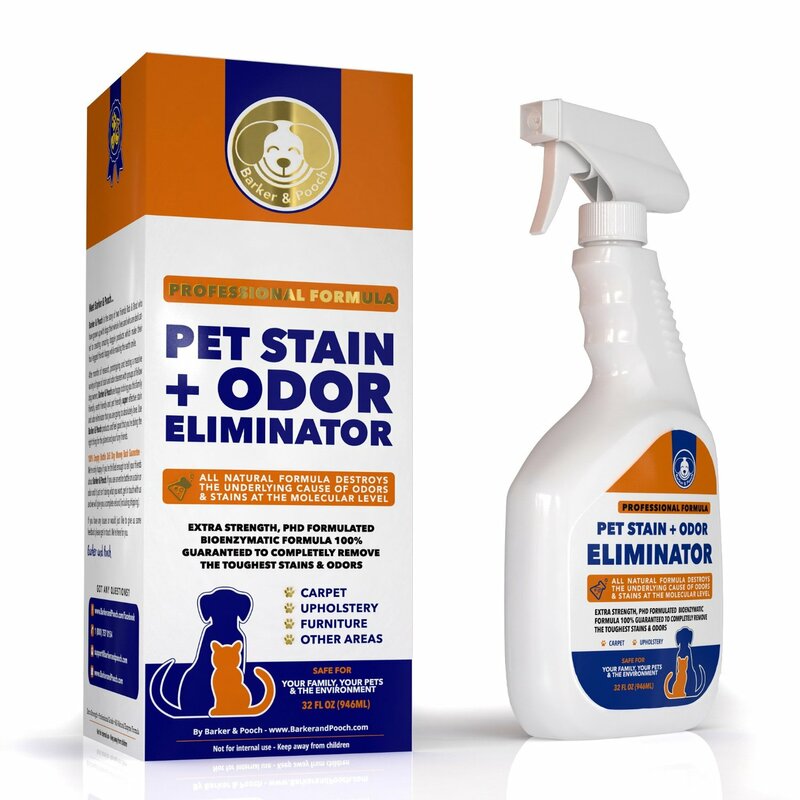 -SAFE FOR YOUR PETS, YOUR FAMILY, AND THE ENVIRONMENT Barker & Pooch's Stain and Odor Eliminator is super effective and you can feel great about using it because it is safe for the environment and the entire family including your four-legged members. Disclosure: MarksvilleandMe received one or more of the products mentioned above as part of a promotion with Tomoson and Barker & Pooch. Regardless, MarksvilleandMe only recommends products or services we use personally and believe will be good for our readers. Some of the links in the article may be “affiliate links.” This means if you click on the link and purchase the item, I will receive compensation. If you would like MarksvilleandMe to review a product or service please contact us at marksvilleandme@gmail.com.